As the number of websites and internet-based services we use daily is increasing tremendously, keeping a unique and secure password for all of them has become a challenge. Remembering passwords has always been a tedious task. And now as the passwords get more complex (involve numbers and special characters), it is not quite possible to remember all of them. Keeping a common password for all your accounts is not a solution as it creates a big loophole from a security perspective and it can compromise all your accounts in some situations. To deal with this challenge, one should have a really good Password Manager at the rescue. Password Managers do not only securely store your passwords but also provide an interactive way to store them and access them later. The tool we are talking about in this post ‘RoboForm’ is one such feature filled password manager that can handle all your passwords and accounts easily. RoboForm is essentially free for personal use and comes with a premium version that offers extra features. Moreover, it is cross-platform and comes with synchronization capabilities which means you can access your passwords from any device. RoboForm is a great way to store your passwords. To start with, you need to download the setup from the RoboForm website and install it. During the installation, the setup might ask you to close your browser window to install relevant extensions in the background. Once installed and running, you need to create a free RoboForm account that will enable synchronization features across devices. It is advised to choose a strong master password as this password will be guarding all your important information. Let us take a look at some of its features. This is one of the most useful features offered by this tool. You do not need to manually enter your usernames and passwords into the RoboForm database. It will automatically catch them from your browser while you log in to any website. RoboForm does not allow the manual creation of records; you need to sign into a website through a browser to save it in RoboForm. This feature works like a charm and saves a lot of effort that goes into manually typing your username and password into a password manager. Very similar to the automatic collection, the tool is also capable of automatically logging you into a website. All you need to do is select an account from the list of available accounts you have stored and hit the login button. The app will take you to the website, plug in your credentials and will automatically log you in. Additionally, you can use the ‘Go Fill’ option if you’d just like to fill in your credentials but not actually log in. RoboForm lets you securely share credentials with other RoboForm users. Updates are synced to all users and access can be revoked at any time. This feature makes it easier to share passwords with your friends and family. In addition to this, the premium version offers Sharing an entire folder with multiple users. So essentially you can maintain a folder where you can store the passwords that are shared with your team or friends. To share an account, all you need to do is right click and then select ‘Sharing’. Enter the email address of recipients and send them the credentials. You can revoke access from anybody at any point in time. If you have a lot of accounts, then you might use this feature a lot. It lets you organize all your accounts in different folders. You can create as many folders you want. Apart from folders, password organizer also comes with search functionality so that you can easily find the account you are looking for. Who does like to enter their basic details on sign-up and other forms on different websites? So what you can essentially do is, create an identity in RoboForm. An identity can store different information about a person. You can store basic information such as Name, Email, DOB, Phone, and other Contact information. Other than that, you can also store business details like company name, website, etc. Also, you can add your passport, address, credit card, bank account details in an identity. You can even define custom fields and their values. 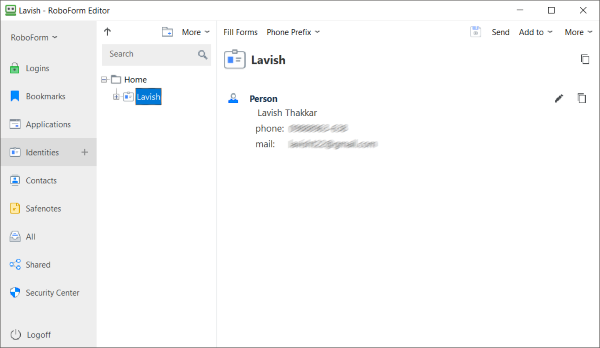 Now, these identities can be used to automatically fill up web forms. This saves a lot of time and ensures that correct details are entered every time. 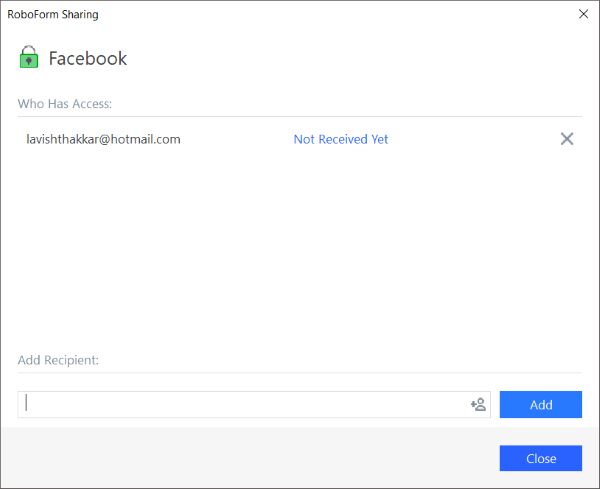 Similar to account credentials, you can share identities with other users too. RoboForm also doubles up as an encrypted notes manager. You can create as many notes you want and share with them as many people as you want. Notes manager does not provide some basic formatting features as of now, but it would be an addition to have some basic features like bold and underline. One should have strong randomly generated password guarding their accounts. So RoboForm comes with a built-in password generator that can be accessed from the browser itself. You can customize some properties of your password and directly copy or fill it from the extension. This is one of the latest additions in RoboForm. 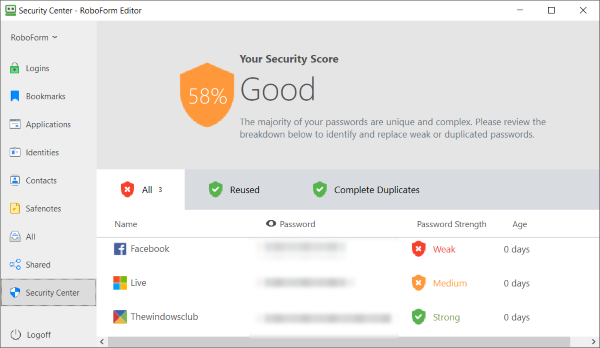 Security Center keeps an eye on all your passwords and thus find any security flaws and suggests you change to secure your accounts. It can tell you about the password strength of your different accounts and also find duplicate passwords being used. Security Center comes handy when you want to have a quick overview of all your passwords. 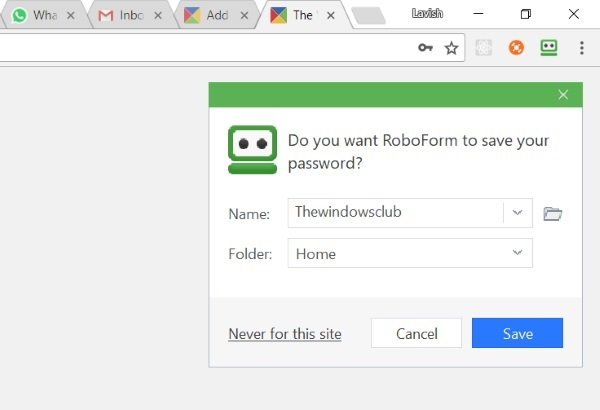 RoboForm Everywhere is an online service offers Cloud backup, a Secure shared folder and allows you to sync your passwords across all your devices. It even offers web access, grants you emergency access and offers full email and phone support should you need some help. This premium variant is available for around $19.95 per year, and you can get started here. While we tried to cover major features of this amazing tool, you will find out that it does come with many more of them. 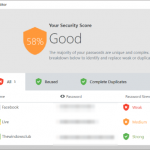 RoboForm is one of the best password managers available out there. It is compatible with most of the modern web browsers including Google Chrome, Mozilla Firefox, and Edge. Also, it is available in both free and premium variants for personal users. Premium Variant offers extensive features such as sync across devices and secure folder sharing.